Top Rated Programs in Panama! 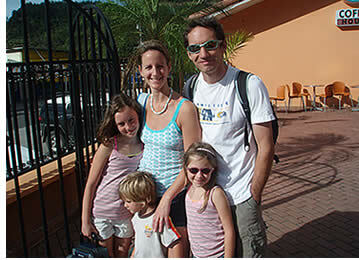 Spanish Immersion Programs: live with a local host family in Panama + daily intensive Spanish lessons. Active Spanish Immersion Vacations: surf, yoga, rock climbing, tours and/or diving + 4 - 6 hours of classes p/day + lodging (for different budgets). Family Vacation Program: Spanish lessons, tours, lodging, volunteering & lots of fun for your family! Volunteer + Learn Spanish: classes & volunteering. Medical Spanish: program for doctors, nurses, etc. 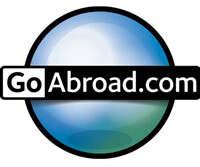 Programs for School Groups Abroad: study trips for groups of university or high school students. Spanish 4 Teens: exchange programs for teenagers. Spanish Program for Kids: for a head start in life! 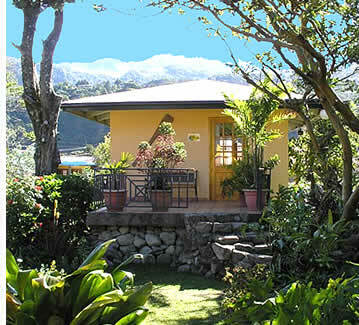 VIP Spanish Language Program: learn Spanish in a luxurious setting. What's it like to learn Spanish in Panama? Most of our Spanish Programs are offered at all of our Spanish schools in Panama: Habla Ya Panama City, Habla Ya Bocas del Toro and Habla Ya Boquete. TRAVELING CLASSROOM: you can even split your time between Panama City, Boquete's mountains and Bocas del Toro's beaches, and learn Spanish at our three locations. Our Learn Spanish + Surf Program and our Learn Spanish + Scuba Dive Program are only offered in Bocas del Toro. Our Spanish Exchange Program for Teenagers and our Spanish + Rock Climbing Program are only offered in Boquete. What a better way to immerse yourself in the Latin American culture than by living with a local host family in Panama? Put yourself in the very best position to learn Spanish within a natural and authentic environment by joining our Total Spanish Immersion Program. Living with a local family in Panama while you learn Spanish will put you in a privileged and unique position to practice Spanish outside of the classroom. Once you step through your family's door you'll practice your Spanish in a relaxed and authentic environment. Being able to listen and speak Spanish even when you're not having Spanish lessons is definitely a plus and something you should seriously consider if you want to learn Spanish as fast as possible and in the most natural way. Family home stays for our Spanish students are available at our three school locations: Boquete, Bocas del Toro and Panama City, Panama. Any Spanish course + local family home stay during studies = Total Spanish Immersion Program in Central America! Our Active Spanish Immersion Vacations are amongst the most popular programs at our Spanish schools in Bocas del Toro, Boquete and Panama City, Panama. Participants can choose to have group lessons, private lessons, or a combination of both, and are presented with a wide selection of extra curriculum activities and lodging options in order to suit each student's particular budget and needs. There are so many things to do in Panama: why just come here to study Spanish? Learn it and experience an amazing vacation! By joining our Active Spanish learning vacations you can hike Panama's highest mountains, surf in warm tropical waters, raft Central America's wildest rivers, discover the Pacific's uninhabited islands, spoil yourself in Panama's Caribbean beaches... the possibilities are endless! And when it comes to Spanish Classes, not everyone needs the same Spanish Course. Choose the Spanish Course that best meets your needs! Specialized Spanish Courses: Medical Spanish, Legal Spanish, Business Spanish, Spanish for Teachers, etc. Other Personalized Spanish Classes: Intensive Spanish Course, Spanish for couples or friends traveling together, Spanish at your Home, etc. Besides Spanish lessons and accommodation, in our Active Language Learning Holidays we make sure that students LIVE the most amazing Spanish learning experience! Plenty of extra activities, many of them at no extra cost, are included in this package such as salsa lessons, movie nights, yoga classes, dinner parties, get-togethers, eco-adventure tours and much more! Boquete is Panama's eco-adventure capital in the mountains, Panama City is Latin America's trendiest capital, and Bocas is Panama's top Caribbean beach destination, so in each location there are loads of activities to do besides Spanish learning. From rafting and scuba diving to surfing, and from rich cultural experiences to yoga lessons, you'll find everything you could ever want from a Spanish learning vacation in Central America. Please take your time to consider our different Spanish Courses, lodging options and extra activities. If you have any questions and need guidance selecting the best spanish language course or lodging option for you, feel free to contact us. We will make sure that you fall in love with your experience at Habla Ya Spanish Schools and remember it forever! 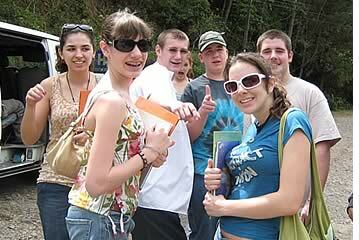 Any of our Spanish Classes + lodging at Panama's best hotels + extra activities = Spanish Language Holiday! If you're planning the ideal family vacation to Latin America, why don't you give your loved ones the opportunity to have the time of their life and to also learn a new language? We will cater to your specific needs and organize the most incredible family holiday for you. Each of you'll not only live an unforgettable experience but will also take back home something that will open doors to a brighter future: the ability to speak the Spanish language and a better cultural understanding of Latin America and its people. Boquete (Panama's top mountain destination), Panama City (Latin America's most cosmopolitan capital), and Bocas del Toro (Panama's top Caribbean beach town) are ideal places for a family vacation in Central or South America. Not only do we guarantee that you'll have a family vacation full of wonderful memories that you'll remember for the rest of your life, but also each and one of you'll also take back home invaluable language skills for your future's success. 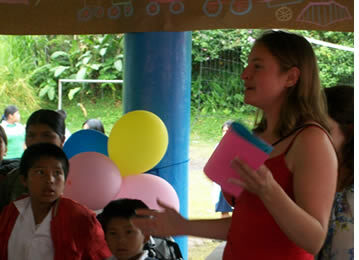 Interested in learning Spanish and also making your trip to Central America a truly meaningful one? Then come to any of our Spanish Schools in Bocas del Toro, Boquete or Panama City, Panama (or to all of them) and become a volunteer to make the difference! We have many different volunteer opportunities and projects to choose from, all of which have a great impact in many people's lives. During half of the day volunteers attend Spanish Lessons, either in a group or privately, and during the other half of the day they participate in the volunteer project of their choice. Volunteering also makes a great opportunity to practice your Spanish outside of the classroom in an authentic and natural environment. So come to Panama to learn Spanish and be a volunteer! Working together we can create opportunities for those who would not otherwise have one. We can build bridges to self-sufficiency, personal growth, and human happiness. Through the giving of their time and talents, volunteers can help children, families, and individuals around the world realize their potential for a brighter tomorrow and a future of fulfillment. Click here to find out more about volunteer projects in Panama City, Boquete and Bocas del Toro, Panama. We ensure you that taking the step to volunteer will change your life! You'll feel many blessings through the knowledge you obtain. You'll gain a better idea of the world around you. You'll gain an appreciation for diversity. You'll have your eyes opened in a way that allows you to love and accept people in a way that before you may have not thought possible. 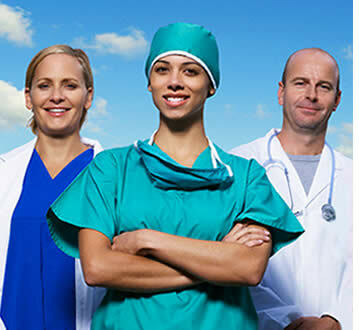 Our medical Spanish immersion program is intended for doctors, nurses, medical students and health-care professionals in general who want to learn medical Spanish and are searching for an effective medical Spanish program, customized to suit their specific medical profession and learning needs. At Habla Ya Spanish Schools we have built a medical Spanish curriculum that is customized to different medical professions. Not only is each medical Spanish course tailored to specific medical professions, but we also personalize each medical Spanish class by taking into account your own medical specialty, learning style, Spanish level and area of expertise. Candidates interested in joining our medical Spanish program can choose from a wide variety of accommodation options and can complement their medical Spanish classes with a medical internship or volunteering opportunity at one of the public health clinics in Boquete, Bocas del Toro, or Panama City, Panama. Being able to practice your medical Spanish in real life situations and interact with native Spanish speakers definitely makes the difference when you're learning medical Spanish. Not everything is about studying Spanish and working hard: Boquete is Panama's eco-adventure capital, Panama City is Latin America's most cosmopolitan city, and Bocas del Toro is Panama's top beach town, offering visitors plenty of opportunities to enjoy the outdoors, our culture, the nightlife and wildlife. And to make sure you really enjoy your trip to Panama, we organize a very complete program of cultural and social activities and make sure that you experience an unforgettable Panama vacation and make the most out of your medical Spanish immersion program. We simply love organizing school trips for high school or university students who will be traveling abroad as a group to learn Spanish and experience the Latin American culture. We have a vast experience organizing programs for schools trips that require Spanish lessons in small groups or with private tutors. We've successfully hosted groups with 35+ students. 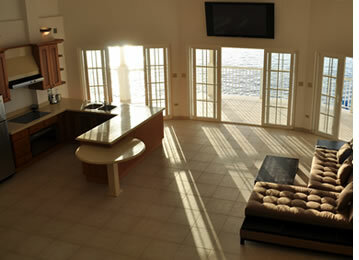 We can arrange accommodation at many different types of places. We can place each member of your group with a local host family, at one of our recommended hotels or we can even help your group find a large vacation rental that can accommodate staff and students together. Boquete, our charming mountain town, Panama City, our country's bustling capital, and Bocas del Toro, our idyllic Caribbean Archipelago, are ideal destinations for these types of programs. We can even organize a program for your school group at our three destinations (or at two of them). Panama is one of the safest countries in Central and South America, and rural Boquete and Bocas del Toro are definitely amongst the safest tourist destinations within Panama. And it doesn't hurt that almost everything is within walking distance which simplifies the logistics of your school trip abroad. Besides Spanish learning, Boquete is Panama's eco-adventure capital, Panama City is Latin America's most cosmopolitan capital, and Bocas del Toro is Panama's top beach destination, so there are plenty of things to do after class to keep everyone busy and happy. We can also arrange volunteer projects so that your students can give back during their trip abroad. Today's teenagers demand a high dose of entertainment in order to stay happy. Boquete, Panama's Eco-Adventure Capital, is the ideal place for a Spanish Language Exchange Program for Teenagers in Latin America. Boquete, a small village of only 20,000 inhabitants, is a very safe town within Panama, allowing your teen to learn Spanish and live an abroad exchange experience in a controlled and secure environment. Students from 13 - 17 years of age can come to our peaceful town, study Spanish and live with a responsible and caring local host family that will look after them just as if they were their own son or daughter. Many of our local host families also have teenagers, which provides your teen with a great opportunity to easily adapt and make friends. Besides having daly Spanish lessons from Monday to Friday to learn the Spanish language, teens will also be able to experience the local Panamanian culture, make friends from other parts of the world and gain a better understanding of an environment different from their own. Teens studying abroad achieve more independence and responsibility than teenagers who never had the opportunity to live without their parents, have a higher sense appreciation of what they have access to back at home and benefit from being able to showcase their experience abroad when applying to the college or university of their choice. Your teen will be able to participate in many social and cultural activities, take part in Boquete's Eco-Adventure Tours, volunteer with one of Boquete's many NGO's and so much more. Teens that take part in our Spanish Exchange Program definitely take back home the memories of a wonderful vacation! Thinking about a Teen Exchange Program in a Spanish speaking country many miles away can be quite intimidating. But once your son or daughter fills out our Pre-Program Interview for Teens we will get back to you with a complete description of your child's host family and this will start making it easier for him or her to get excited about the idea. We have had teens on their own for up to four months and many of them decide to come back and brush up their Spanish before or during college. Your child's safety is our priority. If you would like to reassure yourself by getting in touch with other parents who've sent their teens to our Spanish school, please contact us and ask us for their contact details and we'll gladly put you in touch with them. For a Head Start in Life! If you and your kids are traveling to Central America, why not give them a head start in life by giving them the opportunity to learn Spanish? Or if you have just relocated to Panama and want to help your little ones have a smooth transition, why not enroll them for some Spanish Lessons for Kids? At Habla Ya we have plenty of teachers that love teaching children and have many years of experience doing so. This Spanish program is intended for kids from 4 - 12 years old. If you have younger children we can arrange a babysitter for them which is something that would still expose them to the language or if you have older children (13 - 17) then they can join our Spanish for Teens Program. Through our Spanish for Kids Language Program we can arrange different activities all day long for your child. Half of the day can be devoted to Spanish learning and during the other half of the day they can enjoy all of those wonderful eco-adventures that Panama City, Boquete and Bocas del Toro, Panama have to offer. We also have certain Cultural & Social Extra Activities that kids can join and plenty of Volunteer Opportunities for children of all different ages. And during the weekends: plenty to do for the entire family! It doesn't matter if only your kids will be having Spanish lessons: we would also be more than happy to arrange appropriate accommodation and extra activities for your entire family. Depending on your needs and length of your stay you could live with a local host family, stay at a nice bed & breakfast, spoil yourself in a fabulous resort or have more family independence in a wonderful villa. Have a nice vacation and we'll take care of your kids, teach them a new language and make sure they have the time of their lives! 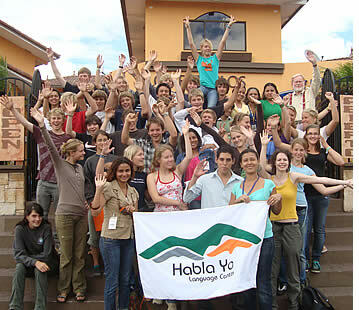 If you're looking to learn Spanish in an exclusive environment surrounded by sophisticated services, five-star amenities and the utmost comfort, then come and spoil yourself with Habla Ya Spanish Schools in Panama City, Boquete and Bocas del Toro, Panama because we have the perfect Spanish Program for you. 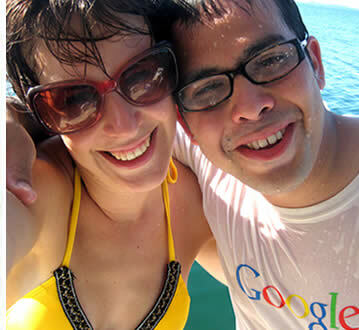 Luxury Language Travel Holidays with Habla Ya entail studying with the most professional and experienced Spanish teachers in Panama and being able to enjoy all of the services and amenities that come when you stay at Panama City's, Boquete's and Bocas del Toro's most exclusive hotels. Students who join our VIP Spanish Program have access to privileged rates at Panama's finest resorts and boutique hotels. Imagine playing a round of golf in a world class course during the morning, then pampering yourself at the resort's spa, to then indulge your senses with a meal prepared at one of Central America's most exquisite restaurants and finish your banquet by flavoring Panama's award-winning coffee... do you think you'll be ready for Spanish lessons in the afternoon? After classes you can do your homework in your room's terrace or balcony and admire the beauty of the mountains and greenery if you're in Boquete, the skyline if you're in Panama City, or of the pristine Caribbean Sea if you're in Bocas del Toro. If golf is not for you, try a climatized pool with natural salts in its waters or head towards a professional tennis court with your partner or play a couple of sets of racquetball... or just go to a state-of-the-art life fitness equipped gym... the possibilities are endless. Valle Esondido Resort, Golf & Spa and The Haven Spa & Hotel are our favorite luxury hotels and top end country inns in Boquete. Tropical Suites and Palma Royale are our favorite upscale boutique hotel in Bocas del Toro. And in Panama City, Hotel El Panama. Learn the Spanish language & LIVE it! Contact us! Sometimes it can be a bit daunting to plan a language program in a country that you're not familiar with and that is far away from you. Let our experience work for you and we guarantee that you'll be satisfied with the results. We organize Spanish courses for people from all over the world. 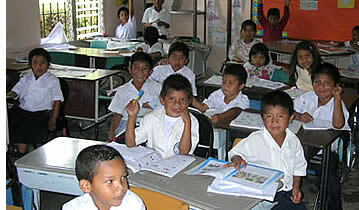 How to Prepare your Spanish Program in Panama? Our website is a valuable source of information and we will do our very best to answer every question you have before coming to Panama to study Spanish. It's natural to spend a lot of time researching but you shouldn't try to schedule what you'll be doing every single minute. With any adventure or vacation in life it is always nice to be flexible and leave some space for surprises... in Boquete, Panama City and Bocas del Toro they'll always be pleasant ones!